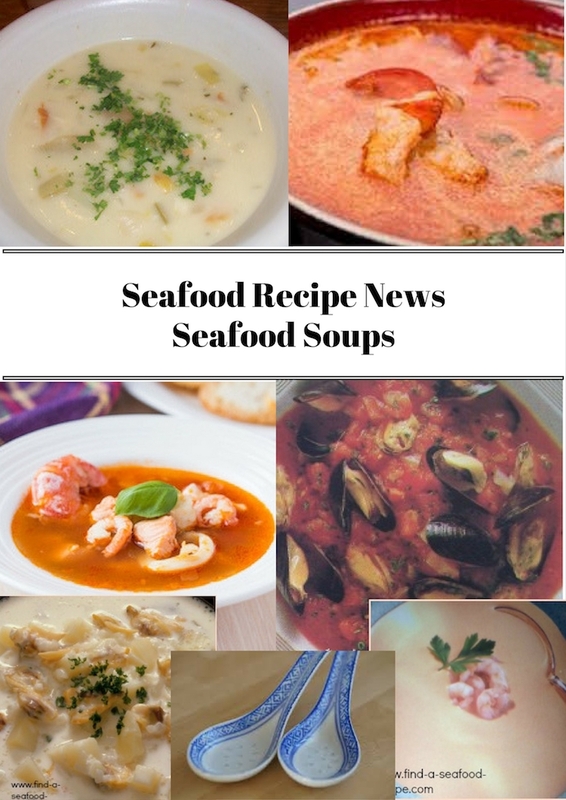 Seven gorgeous seafood soup recipes in this issue of Seafood Recipe News. 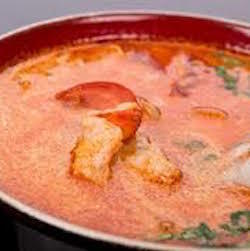 Seafood soups are usually very quick to prepare. A basic fish stock only takes 30 minutes to make - if you leave it any longer, it can become bitter. So, no hours long performance unlike meat stocks. Simply save any shells, bones, skin you have or ask your fishmonger for some and you've got the basics of a stock. You can also buy fish stock cubes much like you get meat or poultry stock cubes. 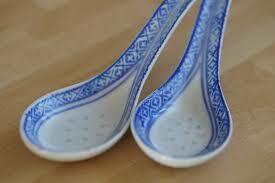 They're absolutely fine to use in a basic soup. Alternatively, a vegetable stock will suffice. 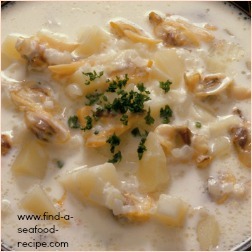 Seafood soups are versatile - make them for lunch, as an appetizer or a hearty family dinner. 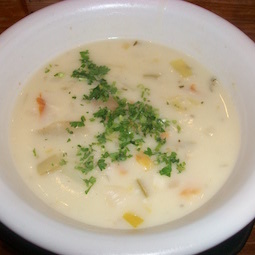 Gorgeous Cullen Skink is made from smoked haddock and thickened with cooked potato. Perfect if you're looking for a gluten free seafood soup. It is a substantial soup and with some crusty bread or baked potato makes a hearty meal. You need to cook the fish in water, then cook the vegetables in the stock and combine the flaked fish back into the mixture. 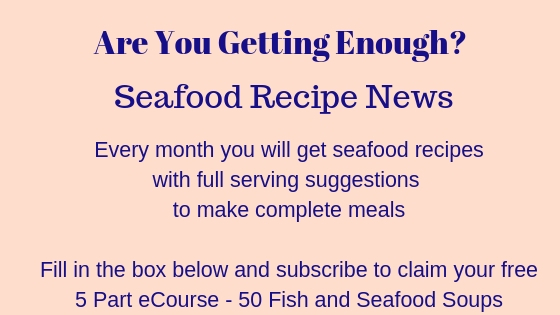 New Orleans Seafood Gumbo - this is a simple gumbo recipe. Some of them have a shopping list of ingredients that you'd be hard pushed to find, but this one is very straightforward. It uses okra to thicken it (you can get that in most greengrocers or supermarkets) and is seasoned with Allspice and Cayenne - again, both easily available. 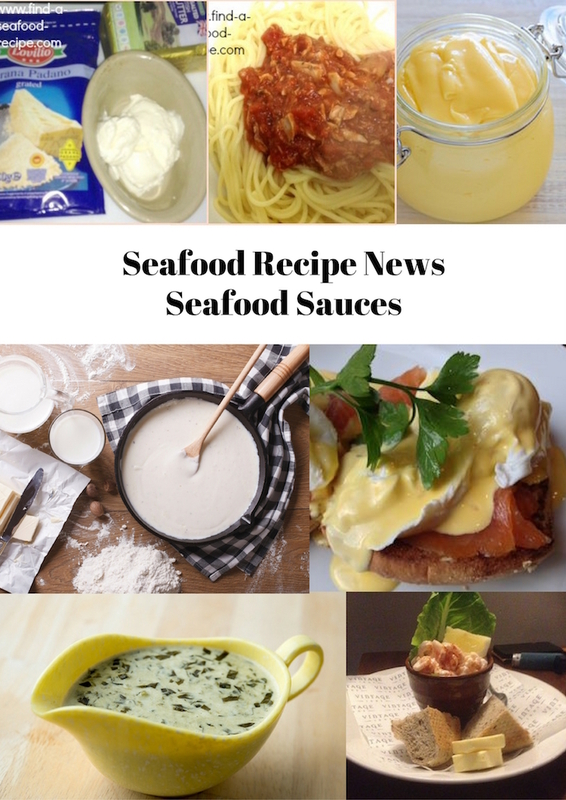 The seafood is shrimp and the other ingredients, you'll be able to get real easy, you might even have them in already. Another substantial soup that makes a meal with crusty bread. 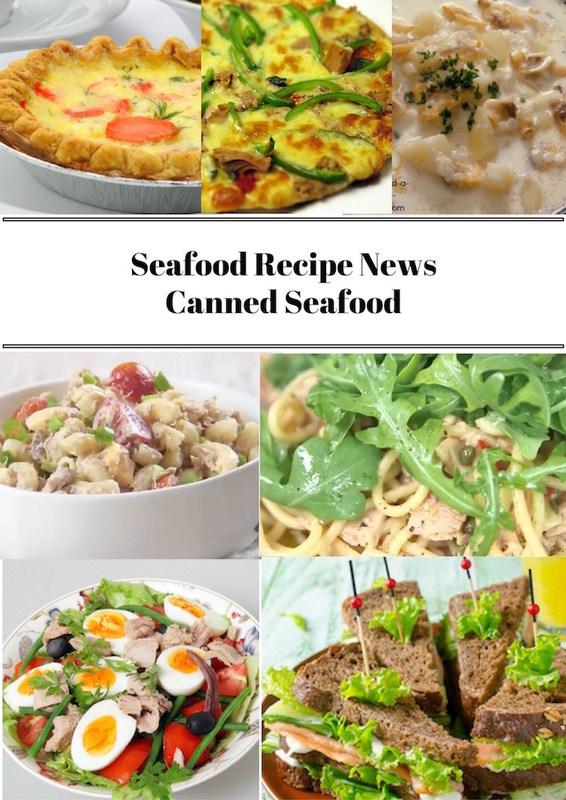 Canned Clam Chowder - try to get the clams canned in their own juice and you can use this as part of the stock for this beautiful seafood soup. Canned mussels and corn kernels make it super easy to make - you don't have to spend hours scrubbing, cleaning and preparing. A really substantial soup that would make a meal - try some corn muffins or corn bread to serve with it. Some people like sourdough bread or saltine crackers. What's your favorite? 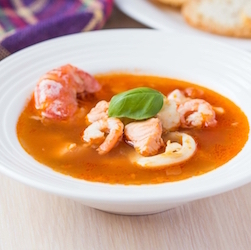 A beautiful Bouillabaisse - a mixed fish soup which would make a fabulous main meal or a starter at an elegant dinner party. You can make this in advance so far as steaming the mussels and adding the shrimp. The recipe will serve 8 as a starter or 4 as a substantial lunch with some crusty bread to mop up the juices. Seafood Bisque - two for the price of one here. 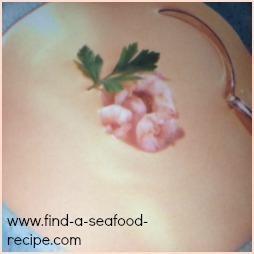 The first of the seafood soup recipes is a classic Lobster Bisque - the second recipe is one I call 'Frugal Seafood Bisque'. 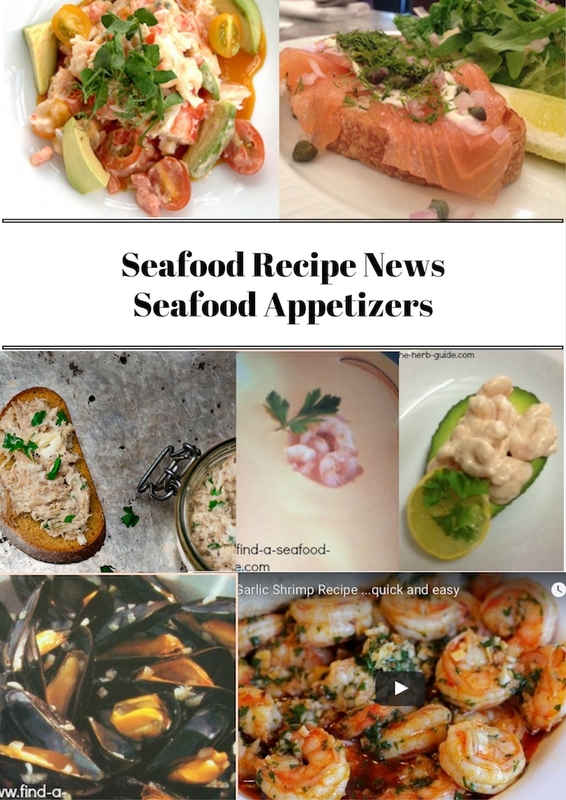 This is where you use the shells from other seafood dishes, the shrimp, lobster or crab that you've already eaten and make a bisque from the shells. Truly, you'll get the exact flavor without the expense - two meals for the price of one! Have you ever wondered how to get those eggy threads in Chinese Crab and Corn Soup? It is really easy and this tasty soup would be great as a starter for a Chinese banquet. 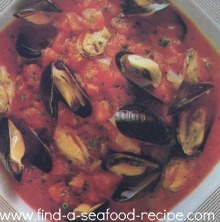 Superb Italian Seafood Soup - chunky, full of fish and shellfish. Just right for a relaxed informal party, with some crusty bread and a bottle or two of something white, chilled and Italian. I love Orvieto or if you fancy something fizzy, try Prosecco. This recipe serves 8 as a starter and a very generous 4 main meal portions.